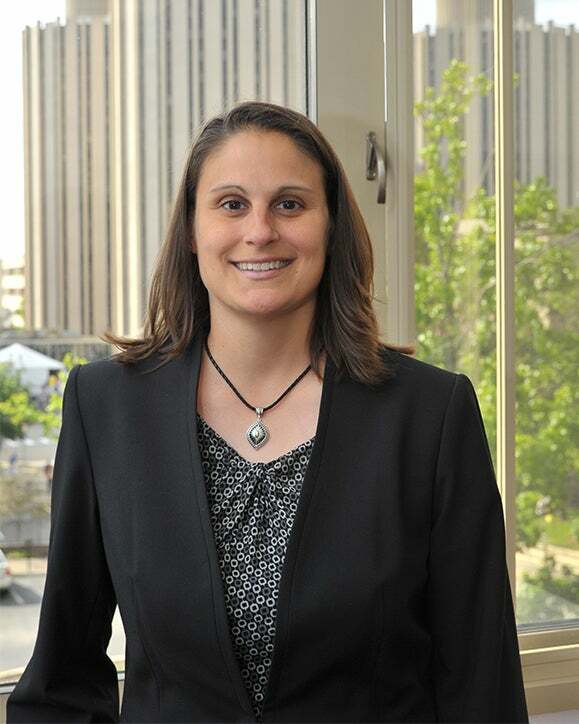 Patti began her appointment as the University of Pittsburgh, University Registrar in January, 2013. Prior to becoming University Registrar, she held positions as a Systems Analyst, Manager of Information Resources, Assistant University Registrar, Associate University Registrar, and Interim University Registrar. She began working for the University in 1976 with the "Computer Center" where she stayed for 12 years before moving to the Office of the University Registrar. Patti was an instrumental team member of two separate University student information system projects. When the University implemented ISIS in 1988; Patti was on the implementation team. When the University began implementation of PeopleSoft Campus Solutions in 2004; Patti served as Student Records Functional Lead on the implementation team and then maintained this responsibility until being named University Registrar. She has always maintained a key role in the development of not only the University student information systems over the years, but also in the continued growth and development of the Office of the University Registrar. 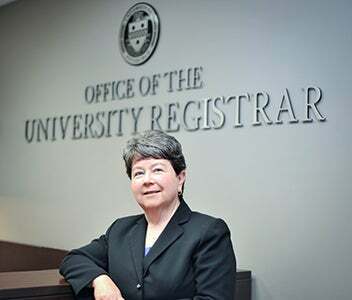 Patti Mathay is the University Registrar at the University of Pittsburgh, where she oversees all Registrar's Office operations including student records, course and classroom scheduling, registration, grades, graduation, and transcripts/verifications. 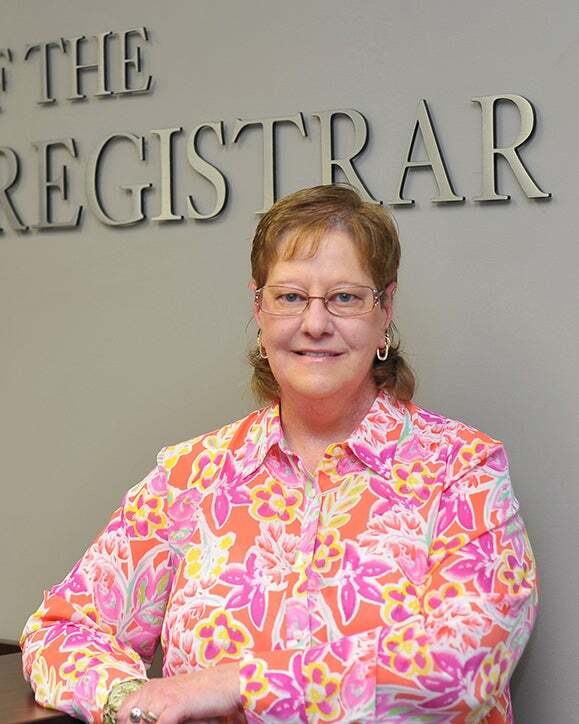 Prior to her appointment as University Registrar, Patti held a variety of positions within the Registrar’s Office and Computing Services and Systems Development. Patti earned a Bachelor of Science degree in Elementary Education from Edinboro University of Pennsylvania and completed the Executive MBA program at the University of Pittsburgh, Katz Graduate School of Business in 1992. She maintains an active membership in several higher education professional organizations including Middle States Association of Collegiate Registrars and Officers of Admissions (MSACROA) and American Association of Collegiate Registrars and Admissions Officers (AACRAO). She has held various positions with MSACROA including Treasurer and President-Elect. Ryan has been a dedicated University of Pittsburgh employee since 2002. 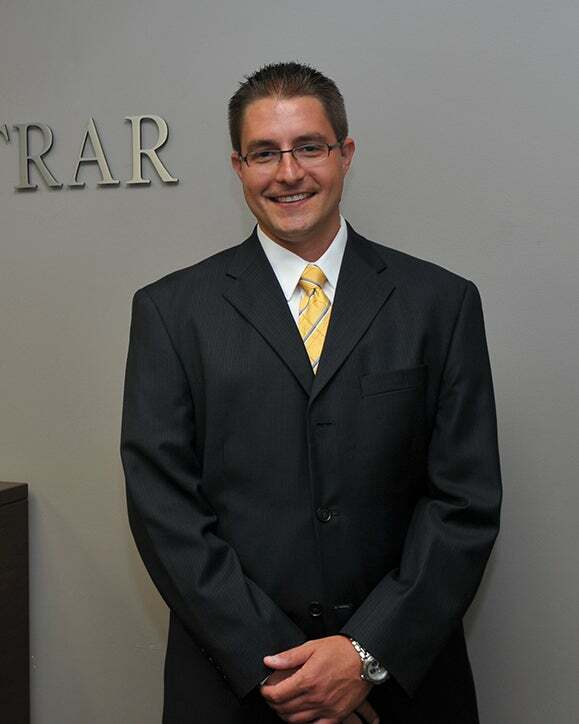 Ryan currently serves as the Associate University Registrar for Student Services. 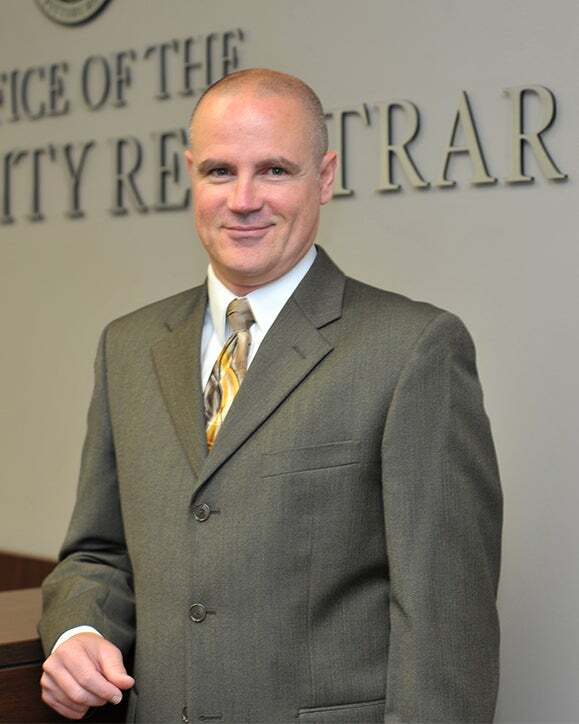 His primary responsibility is to supervise the areas of Registration Services; Student Records, Grades, and Graduation; and Transcripts & Certification. Ryan is also a member of the Office of the University Registrar Senior Management Team and the PeopleSoft Application Support Team. He began working in the Office of the University Registrar as a Senior Systems Analyst in 2005 and has previously held the positions of Lead Systems Analyst, PeopleSoft Academic Advisement Functional Lead, PeopleSoft Student Records Co-Functional Lead, and PeopleSoft Security Contact. Ryan earned a Bachelor of Arts degree in Communication Arts from Allegheny College in 2002. Jennifer began working with the Office of the University Registrar in August, 2014. As Associate University Registrar for Information Technology, Jennifer manages the Information Resources group within the Office of the University Registrar and is a member of the office’s Senior Staff Management Team. She is responsible for business information systems design, implementation and production support. Jennifer serves as a PeopleSoft Student Records Co-Functional Lead and is a member of the PeopleSoft Application Support Team, in addition to serving as a primary PeopleSoft Security Contact for the office. She earned a Bachelor of Arts from Bucknell University and a Master of Professional Writing from Chatham University. Jennifer was Senior Associate Registrar at Princeton University for 10 years and University Registrar at Chatham University for seven years, prior to joining the University of Pittsburgh, Office of the University Registrar. Christopher began working with the Office of University Registrar in January, 2014. As Associate University Registrar for Academic Support Services, Christopher is responsible for course, class, and room scheduling. Additionally, he is responsible for academic advising, of which he is PeopleSoft Functional Lead. He began working for the University at the University’s Titusville campus in 1993; where he worked until joining the Pittsburgh campus team. He served the Titusville campus in various capacities, including Assistant Professor of Biology, Academic Coordinator, and Registrar. He earned a Bachelor’s degree in Biology from the University of Pittsburgh at Johnstown and a Master’s degree in Zoology from Western Illinois University. Christopher’s research interest was wintering bald eagle foraging behaviors on the Mississippi River. Sharon has worked for the University Registrar’s Office in the Business Manager capacity since May, 2010. Sharon began her employment at the University as a Student Employee/Student athlete several years ago and has held 4 other positions within the University since 1974. Her expertise is in Budget Forecasting and Payroll/Personnel Management and she performs these functions for the University Registrar’s Office. She has a BA in English Literature with a minor in Sociology from the University of Pittsburgh awarded in 1990. As a proud Pitt Alumni, she appreciates the value of her education through dedication and hard work. Over the years, her experiences as an athlete, a student and a Manager have provided her with the necessary tools to adapt to the constant growth and challenges within the ever changing University campus community. She enjoys reading, watching all sports and writing Children’s books.